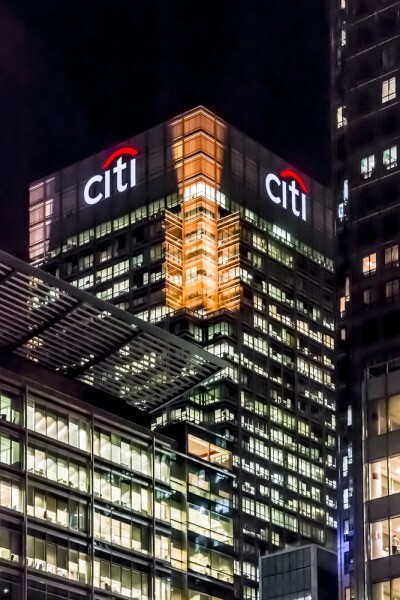 Citigroup Inc. (NYSE:C) was in 121 hedge funds’ portfolio at the end of September. C has experienced a decrease in support from the world’s most elite money managers in recent months. There were 126 hedge funds in our database with holdings in Citigroup at the end of the previous quarter. Today there are many formulas market participants can use to grade publicly traded companies. A couple of the less utilized formulas are hedge fund and insider trading indicators. Experts at hedge fund tracking site Insider Monkey have shown that, historically, those who follow the best picks of the elite hedge fund managers can outclass the market by a healthy margin (see the details here). With all of this in mind, we’re going to take a look at the key action regarding Citigroup Inc. (NYSE:C). Heading into Q4, a total of 121 of the hedge funds tracked by Insider Monkey were bullish in this stock, a change of -4% from the second quarter. With the smart money’s sentiment swirling, there exists an “upper tier” of key hedge fund managers who were upping their holdings significantly. Of the funds tracked by Insider Monkey, Boykin Curry’s Eagle Capital Management had the number one position in Citigroup Inc. (NYSE:C), worth close to $1.209 billion, comprising 5.3% of its total 13F portfolio. Coming in second is Jonathan Auerbach of Hound Partners, with a $643 million call position; the fund has 13.9% of its 13F portfolio invested in the stock. The remaining members of the smart money that hold long positions consist of Ken Fisher’s Fisher Asset Management, Robert Rodriguez and Steven Romick’s First Pacific Advisors LLC and Richard S. Pzena’s Pzena Investment Management. Since Citigroup Inc. (NYSE:C) has witnessed declining sentiment from hedge fund managers, it’s safe to say that there were a few hedge funds who were dropping their positions entirely heading into Q4. It’s worth mentioning that Doug Silverman and Alexander Klabin’s Senator Investment Group dropped the largest investment of all the hedgies watched by Insider Monkey, worth close to $221 million in call options.. Christian Leone’s fund, Luxor Capital Group, also cut its call options., about $143.6 million worth. These moves are interesting, as total hedge fund interest was cut by 5 funds heading into Q4. Let’s check out hedge fund activity in other stocks similar to Citigroup Inc. (NYSE:C). These stocks are Chevron Corporation (NYSE:CVX), The Home Depot, Inc. (NYSE:HD), HSBC Holdings plc (ADR) (NYSE:HSBC), and Alibaba Group Holding Ltd (NYSE:BABA). This group of stocks’ market caps are closest to Citigroup’s market cap. With this in mind, as a substantial number of hedge funds still own shares of Citigroup, the stock deserves the attention of retail investors. However, a more detailed analysis is required before moving into the stock.